Blizzard is organizing a World of Warcraft: Legion patch 7.1 developer Q&A on Twitch this Friday. Following the launch of the Legion expansion back in August, WoW: Legion patch 7.1 “Return to Karazhan” recently went live on the Public Test Realm. The expansion’s first patch introduces the new Karazhan 5-man Mythic dungeon, which was opened for testing last week. Blizzard has stated that it will treat the dungeon as a normal raid instance for testing purposes, and as such, the new Karazhan will be closed for the majority of the PTR cycle. During the developer Q&A this Friday, lead game designer Ion Hazzikostas will be answering many questions related to Legion patch 7.1. Join us live on Twitch Friday, October 14 at 11:00 a.m. PDT as we sit down with Ion Hazzikostas for our next live developer Q&A. Now that the Patch 7.1 Public Test Realms have been up and running for a few weeks, he’ll be answering many of your questions on what’s coming in Return to Karazhan. Feel free to submit any Patch 7.1–specific questions by posting in this forum thread or via Twitter using the hashtag #LegionQA. We’re looking forward to diving in and answering as much as we can, so we you can join us Friday at 11:00 a.m. PDT! Blizzard hasn’t announced the release date for the “Return to Karazhan” patch, other than that it will release “soon”. Let’s hope that we’ll learn more this Friday. If you’re interested in more details released by Blizzard related to patch 7.1, check out this post right here. 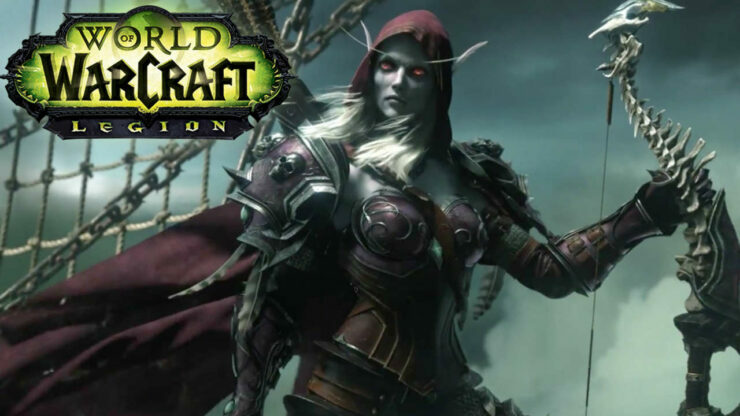 The Legion expansion for World of Warcraft was released this August, and on its launch day, the expansion managed to sell 3.3 million copies. Reception for World of Warcraft’s sixth expansion has been strong, and the expansion managed to push the number of active players to its highest in Blizzard’s “recent memory”.